Cancer of the lip and oral cavity is a disease in which cellare cancerous (malignant) s in the tissueof the lip or mouth s. The oral cavity includes the front two-thirds of the tongue, the gumlineupper and lower s, the interior lining of the cheeks and the lips (oral mucosa), the floor of the mouth under the tongue and the top bone of the mouth (hard palate). In oral cavity tumors tend to be frequent in adult animals and elderly people. They often speak with: halitosis (bad breath), ptialismo (excessive salivation), dysphagia (difficulty swallowing), oral bleeding, loss of several teeth, s, etc… . Routine clinical examination must include the mouth and its annexes (glandsalivary s). 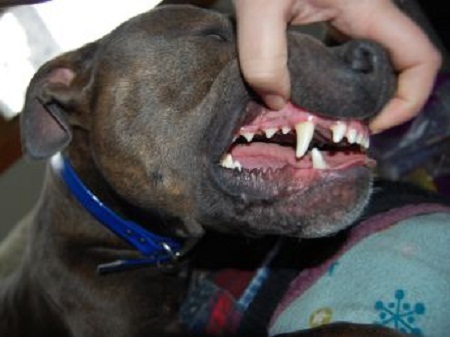 Any mass found in the oral cavity must be consulted even though our pet lacks signs and s clinical symptom. Tumors that occur in the oral cavity are Histologic Type and varied developments. Mouth: Benign neoplasm : find several one of the most frequent It is a tumor gingival hyperplasia fibrous periodontal (a fibrous tumor on gingivas of the tooth) or benign predisposing races are the Boxer and the Bull Dog. Neoplasmmalignant (cancer) s: the incidence of malignant neoplasm in the mouth is high, being gingival tissue the most frequently affected. Three oral tumors most common is fibrosarcoma, melanoma, squamous cell carcinoma and malignant . The fibrosarcoma is generally diagnosed in young dogs and is more common in dogs of great stature despite being rare metastasis is very invasive and does not respond well to treatment. Melanoma malignant can be pigmented or not both should be considered malignants. It is rare in cats.His prognosis is unfavorable, seen particularly in Scottish Terrier, Cocker Spaniel, Labrador and poodle, Chow Chow and great Dane, occasionally affects cats. Squamous Cell Carcinoma (CCE) locally aggressive, and often invades the underlying bone tissue . This type of cancer is also common in cats, in canines and has no racial predilection, on his prognosis would be having more response of the three and it depends on the stage and the Protocol of treatment used, they respond well to radiation therapy. Surgery is a common treatment for cancer of the lip and oral cavity. The doctor may remove the cancer and part of the tissue healthy around the same. You can also remove the lymph nodes in the neck ( lymph node dissection). ** The chemotherapy is the use of medications to destroy the cellcancerous s. This treatment can manage orally or injected into a vein or muscle. Chemotherapy is a systemic treatment because drugs are introduced into the bloodstream, travel through the body, and can destroy cells cancer throughout the body.